The Piaggio group — famous for its legendary Vespa scooters and its MP3 three-wheeler — is set to unveil a series of new smart vehicles definitely designed for the 21st century. The new creations include Gita, a surprising little cargo robot that can follow its owner anywhere. Piaggio Fast Forward is a new R&D branch of the group based in Boston, US. Its aim is to help reinvent the future of mobility, working in the fields of transport and robotics. The first invention to hail from the lab is Gita, a small vehicle that’s both autonomous and intelligent. 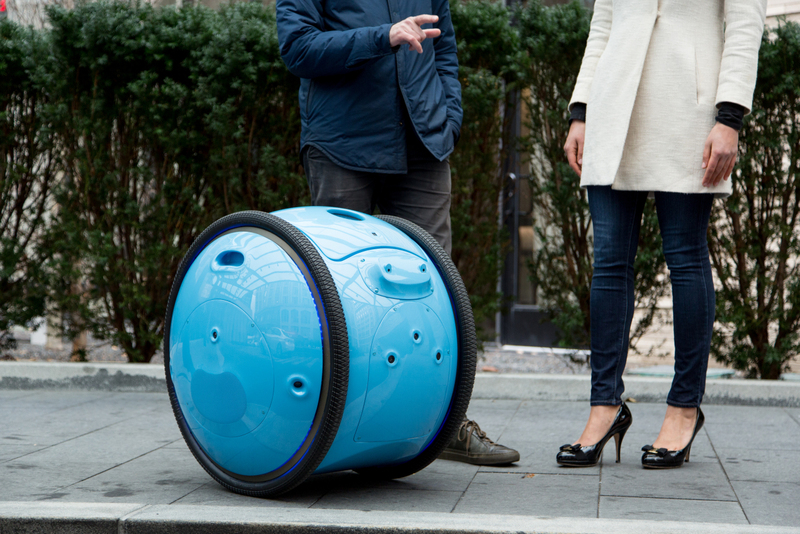 With a design resembling a small cylindrical suitcase that’s 66cm in diameter, Gita scoots along beside its human owner, both indoors and outdoors, and can even operate autonomously in a mapped environment. Gita can carry around 20kg of cargo and has a maximum speed of 35km/h. The vehicle could be used to carry goods or supplies around an open-plan office or complex, or accompany users on outdoor shopping trips, short commutes or even runs in the park. Piaggio’s goal is to offer a greener alternative to cars and scooters for short urban journeys, while also encouraging users to make more journeys on foot. Businesses, such as hotels, could be first in line to benefit from this intriguing innovation.